Volume 6 starts off with a few more rough Quad mixes from the 'Band On The Run' album. 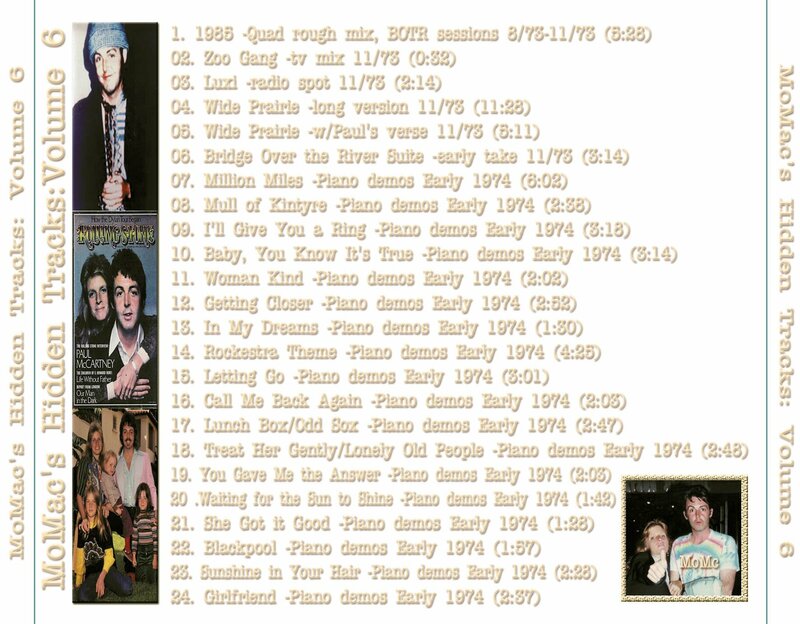 This volume also presents some more studio outtakes as well as most of the 'Piano Tape', recorded in 1974. The rest of this material can be found in the upcoming torrent of volume 7. Sound quality on these working tapes is a bit rough, but it's interesting nonetheless hearing Paul at work. This tape was allegedly stolen from his car and first appeared on Mistral Music's 'The Piano Tape' in 1992. This is volumes 5 and 6 of the fantastic 'MoMac's Hidden Tracks' CDR's issued in 2002. This mammoth collection gathers all available McCartney outtakes, including live cuts, demos and a few rarities in chronological order and from the best sources. Sound quality overall is excellent (Fair/Good for the 1974 piano demos). 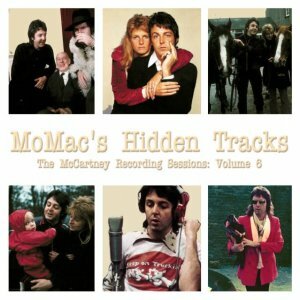 MoMac's Hidden Tracks - Recording Sessions: Volume 6 0 out of 5 based on 0 ratings. 0 user reviews.